Harper Macleod has increased its footprint in the Highlands after being joined by Inverness firm Allen & Shaw.Already the largest law firm with a base in the region, the move – which takes effect from 3 October - will see partners David Allen and Donald Shaw join Harper Macleod as consultants, with three more employees also moving to Harper Macleod’s Inverness office at Alder House in Cradlehall Business Park.Allen & Shaw, established in 1993, specialises in residential conveyancing and private client matters. The new recruits will work closely with the existing teams at Harper Macleod, adding to the firm’s existing presence in these areas and providing a comprehensive range of legal services for client’s personal and business needs.Professor Lorne Crerar, chairman of Harper Macleod, said: “We are extremely pleased to welcome our new colleagues and clients from Allen & Shaw to the firm. We know David and Donald very well, having worked closely with their firm over a number of years, and it is fantastic to bring them into the fold. Mr Shaw is a former director of Inverness BID Ltd and has previously carried out similar roles for Inverness Chamber of Commerce, Highland Solicitors Property Centre and HIE Inverness and East Highlands. Mr Allen is a legal member of the Mental Health Tribunal for Scotland. 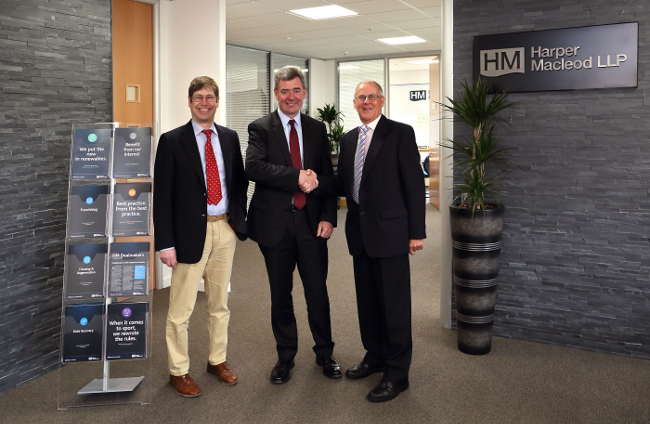 The move is the latest in a number of expansions for Harper Macleod, which last year moved into Shetland by acquiring Lerwick firm Dowle, Smith and Rutherford. The firm also opened an office in Thurso three years ago. Over the past 12 months, the firm has added five new lawyers in Inverness, as well as establishing the office’s first dedicated trainee position. Harper Macleod has recently doubled its office space and completed a full refurbishment in Inverness, which is now home to 27 people.